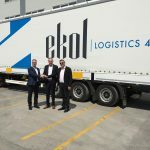 Ekol Logistics is growing in Romania by signing a 5 years lease contract for a new facility located on the outskirts of Bucharest (A1 Bucharest – Pitesti highway, km 23). 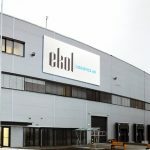 Starting with December 2017, Ekol Romania expands its operations and moves its offices into an A class brand new facility of 6,000 m2 with offices and warehouse space within CTPark Bucharest. Ekol operates now two warehouses in the same logistics park and one warehouse in Timisoara, covering a total of 14,000 m2. The new warehouse has 9 loading docks, 2 drive-in ramps, a capacity of 10,000 EUR-pallets as storage and a height of 12 meters. It also has a strong security system using CCTV and software completely developed by Ekol’s R&D team – Quadro, WMS. The warehouse was design to meet high security requirements in order to obtain TAPA Certification. 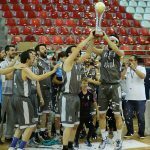 This will add significant benefits to Ekol’s activity. 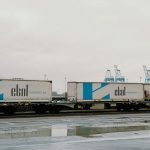 With this new facility, Ekol Romania will provide logistics solutions for existing clients and also for the new ones, from many business lines as like automotive, white and brown goods, FMCG, Retail/E-commerce. This new facility also proves that Ekol Romania focuses on creating a better working environment for their employees. The offices follow high standards of interior design with comfortable furniture and high quality materials. We are very happy for making this step according to our development strategy, as it shows Ekol is getting bigger and stronger in Romania. Since last year, we knew that this would be a necessary investment for us in order to reinforce our presence in the Romanian market as an integrated logistics provider. This investment will help us taking more business opportunities and also supporting more our customers by offering them tailored made solutions. Thanks to our new resources and a bigger warehousing space, we will definitely add value to our customers’ business, through flexibility and inovation. said Alecsandru Mucenic, Country Manager Ekol Romania. Ekol Romania was established at the end of 2011 as an important step of Ekol’s development in Europe. 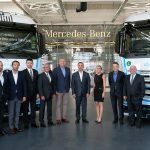 It has 2 branches – Bucharest and Timisoara – 3 facilities with a total of 14,000 m2, a fleet of almost 230 eco-friendly trucks and almost 400 employees. Ekol Romania provides road, air and sea transportation services, contract logistics and cross-docking services, custom solutions and national distribution. Ekol offers many advantages such as flexibility, smart route planning, the most suitable time frames and competitive prices. Ekol Romania’s turnover for 2017 will reach 15 mil euro and an estimation of 18 mil has been budgeted for the next year. 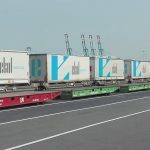 During 2018, the company plans to develop the Ekol Group’s intermodal network by opening a RO-RO connection between Yalova Port, İstanbul and Constanta Port, in Romania. 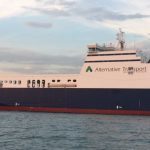 This revolutionary solution will bring a huge competitive advantage for customers, partners and as well in the development of Constanta Port. Imagine that, with this solution, we will take out from the road between Turkey and Romania and viceversa, around 600 trucks/week. Everybody will win out of this new service launched by Ekol. 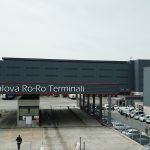 To make it possible, Ekol will also open operational offices in Constanta Port. It is worth mentioning that Ekol is the owner of 6 RO-RO vessels and in October finished the construction of the company’s fully owned port and the first Ro-Ro port of Turkey, Yalova Ro-Ro Terminal, with an investment of 40 mil €. In line with the strategy of building a powerful network on the entire Romanian market, Ekol Romania will grow even more next year by opening its third branch, in Cluj.